Chardonnay is both the Gisborne’s most planted and its highest profile variety with 664 ha of grapes planted in 2016. The region typically produces richly-fruited, fuller-bodied styles with immediate appeal. The mild maritime climate means wines are typically fruit driven with tropical and stone fruit aromas and flavours, with lower acidity and a soft more open-knit palate structure. 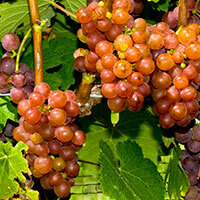 Chardonnay grapes in the Gisborne GI are well suited for both sparkling wines from earlier selections and full bodied table wines where the silken clays and cooling sea breezes produce wines of great depth and exotic concentration. Gisborne can produce wines from fragrant, fruit-forward styles with minimal winemaking intervention through to layered, full bodied styles that may be barrel-fermented and matured and have yeast autolysis and malolactic fermentation influence. The use and choice of oak and winemaking techniques will vary according to style and market position. This is a key performer for the Gisborne with numerous critically successful wines across many market price points and styles. 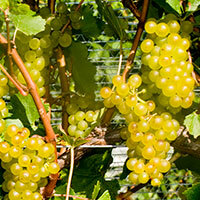 Gisborne fruit can be found in some of the country’s best as well as most prolifically produced wines. The regions young rich soils derived from sedimentary deposits, together enhanced by the mild maritime climate and high sunshine hours allows grapes to be harvested early in the season with ripe fruit flavours and retention of natural acidity. Classical methode traditionelle styles are made from early-picked Chardonnay, and Pinot Noir grapes, and offer a diverse range of classic styles with wines displaying a cushiony mousse and silken tactile appeal. Other varieties such as Muscat are produced in a lower alcohol style from either tank fermentation or occasionally added carbonation. Pinot Gris is the second most planted variety in the Gisborne region with approximately 343 ha in 2016 . The grapes have thin skins and tight bunches which can present a challenge in moist seasons yet left to fully ripen in the regular years produces styles which vary in sweetness and fruit intensity but typically are expressive of exotic melon, Asian spices and warming mouth feel. 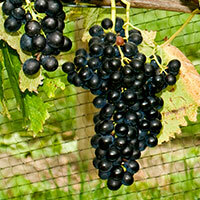 Newer clones for the region, as well as careful viticultural techniques, have increased the growers capabilities to advance this varieties potential. 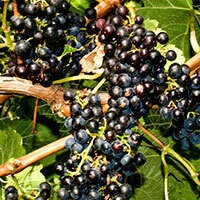 The wines are generally vinified using stainless steel to preserve aromatic and flavour purity. Gewürztraminer is a standout amongst the aromatic varieties planted in the Gisborne region with distinctly aromatic, layered and spicy wines. Plantings are relatively small at 43ha in 2016 and some of the country’s most critically acclaimed wines are found here, featuring one producer solely dedicated to producing world class Gewurztraminer. 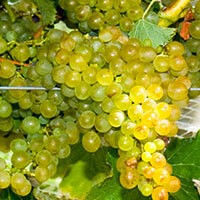 Wines tend to be vinified in a neutral fashion to preserve aromatic and flavour purity and overall intensity. 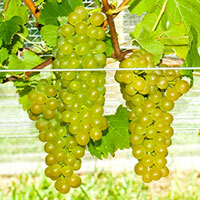 Viognier prefers warm and clean air in its growing season to express well ripened, richly aromatic wines with incredible mouth filling textural qualities and as such the unique Gisborne climate can deliver these qualities. Gisborne has small plantings at around 29ha in 2016 and produces wines of good varietal expression and balance with ripe stone fruit and floral aromas, and intensely fruited full-bodied palates. The oceanic influence can result in an almost haunting saline quality to some wines. Wines may or may not have oak used during winemaking to balance the natural phenolics and depending on desired style are generally dry and in the higher alcohol style. The Spanish native variety Albarino is a relative newcomer to New Zealand and as elsewhere, the Gisborne plantings of 8.5 ha in 2016 have only occurred over the past decade. However, the resulting wines of clear typicity and lifted aromatic profiles with deep flavour suggest Albarino is likely to become a consistent performer in this maritime wine region. The variety’s natural high acidity also allows good structure and balance to be retained at high levels of ripeness, displaying stonefruit, citrus and tangy mineral/saline notes. 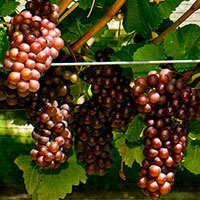 Wines are typically vinified in a neutral fashion in order to preserve freshness and aromatic intensity. 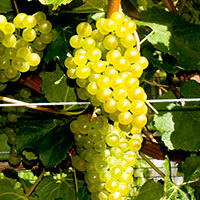 The small plantings of 6.2 ha in 2016 are some of the oldest in New Zealand and the Gisborne regions Chenin Blanc have a solid international reputation courtesy of a select dedicated producer. Wines are typically moderate to fuller-bodied with complex aromatics and rich ripe apple and quince flavours with a rich lanolin texture. 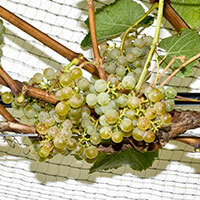 They can range in style from dry to off-dry with occasional late harvested dessert style wines when the unique conditions permit. Typically vinified in a neutral manner, older oak may also be used for additional texture. The variety is naturally high in acid which is useful for retaining good structure in Gisborne’s maritime climate and offer highly textured wines having the ability to obtain very good aging potential. 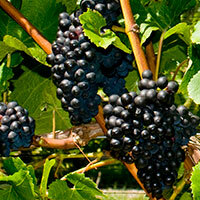 Gisborne has limited plantings of red varietals. 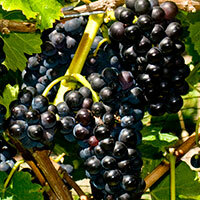 Malbec and Merlot are well-established as a reliable red variety for the Gisborne region. The earlier ripening habits allow the grapes to ripen fully into the autumn giving wines with dense blue colouring, robust plum and black berry fruit flavours, gentle tannins and soft acidity. Often plantings are on the slopes on either side of the valley where the elevation and thinner soils allows expedient ripening and subtle complexities. Syrah enjoys smaller plantings in selected sites where these dry farmed soils give the wines a sense of complexity with layered fruit richness and satin like tannin. 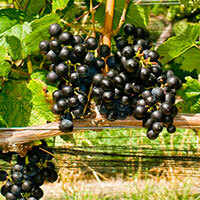 The significant majority of Gisborne Pinot Noir plantings are intended for early-picked sparkling wines styles. The red varietals in Gisborne are typically soft, ripe fruited wines are made in a traditional manner and offer gentle, fragrant freshness, typically with subtle use of quality French oak. Photos courtesy of Riversun Nursery, Gisborne.